Your Personal Coach for Every Run. Monitor your running form as you run. 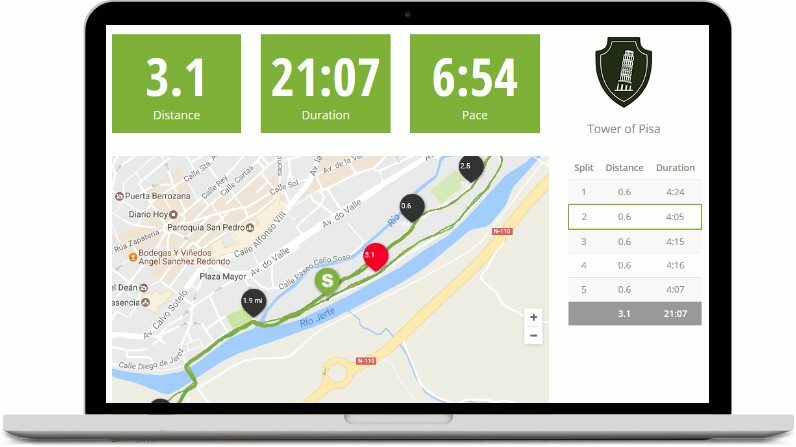 Discover all the new features and the training plans we created just for you. 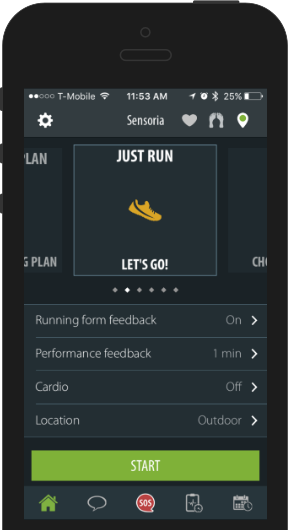 The Sensoria Run mobile app allows you to tailor your goals and track your progress. 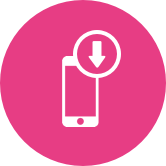 Customize how and when you want alerts from the Sensoria Virtual Coach. Choose to only receive feedback when your cadence is off, or when you are landing improperly. Select the desired heart rate zone for different training sessions. 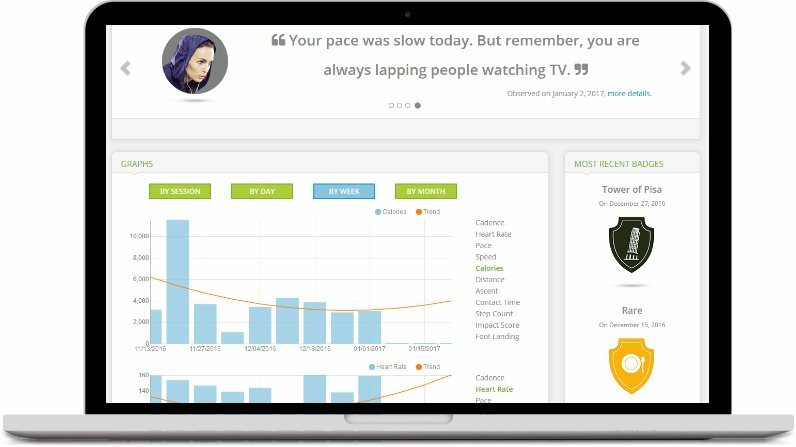 The Sensoria Virtual Coach literally monitors every step and provides actionable audio and video feedback during your run. 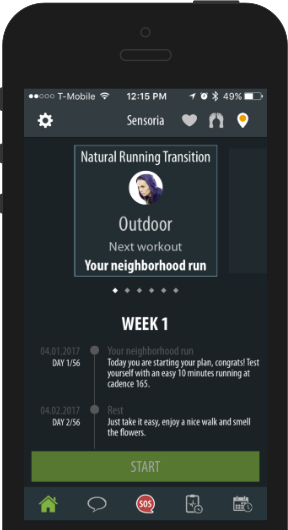 The virtual coach cheers you up to keep you motivated, but also provides reminders when your running form falls outside of preset parameters. One Step and Day at a Time. Mara, your personal coach, provides you with detailed activities by week and by day so that you can achieve your goals successfully and injury free. She will let you know when you need to ramp it up or when you might need to take it a little easier. 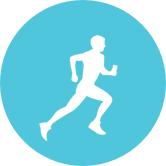 The first plan to be offered is the Natural Running Transition Training Plan to help you improve running form and transition to the minimalistic shoes that you like so much while reducing risk of injury. 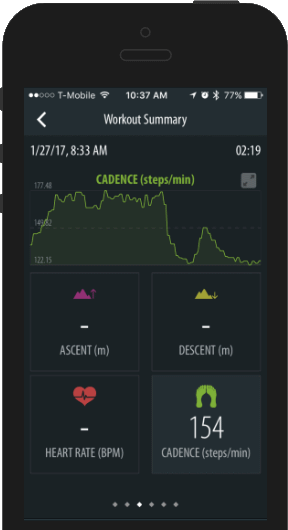 The mobile app monitors your foot landing, contact time on the ground and cadence, and tracks other familiar parameters. 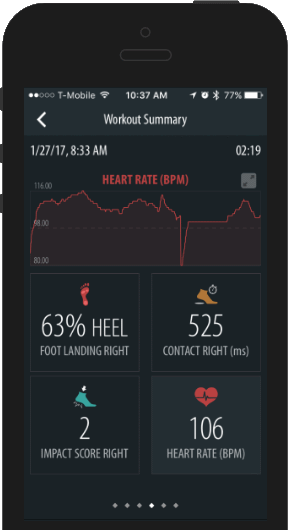 Connect the app with heart rate monitors (HRMs) that communicate through Bluetooth Smart to also monitor your heart rate. 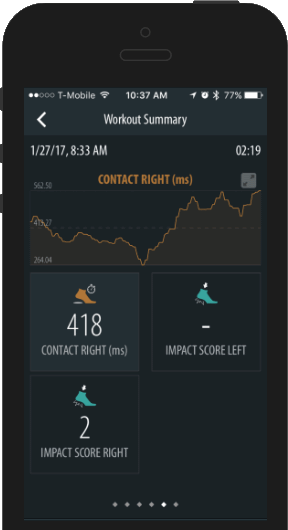 Get detailed visualization of your activities right on the smartphone after your run. 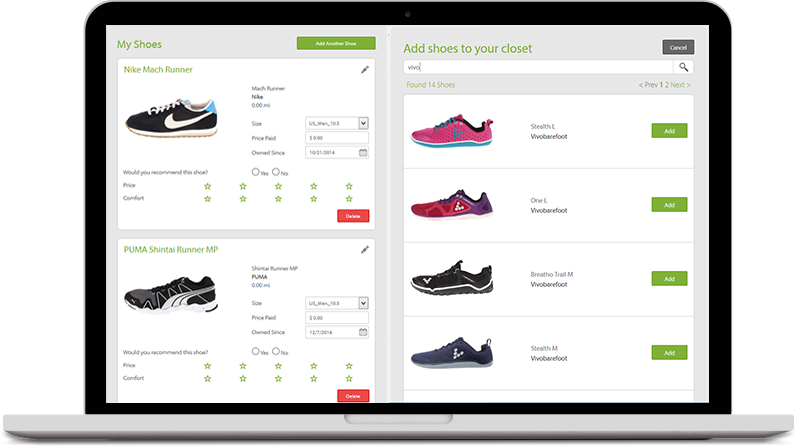 Find over 8000 shoe models in the virtual shoe closet. 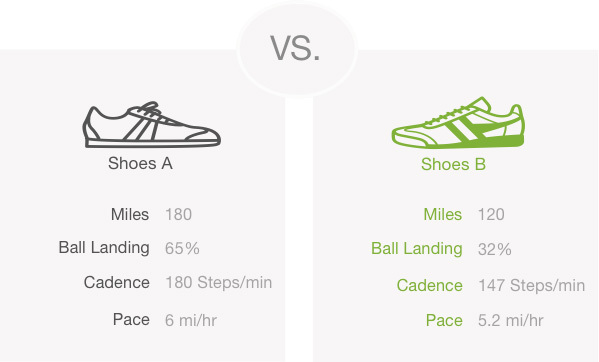 Understand your performance based on different running shoes. Get recommendations on which shoes to use, and when it is probably a good time to invest in a new pair. 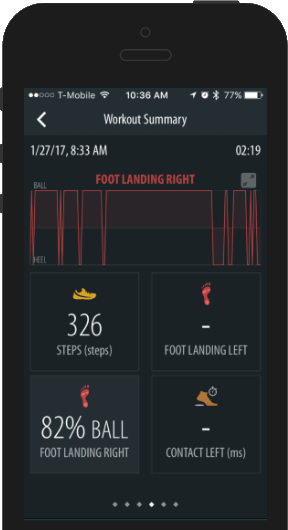 Sensoria Fitness mobile app makes your smart socks that much smarter. Download the Sensoria app to your smartphone. 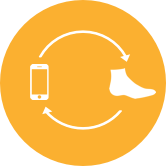 Wirelessly connect the phone and smart sock using Bluetooth Smart. Go for a run with your phone and let the socks do the rest. Your personalized online dashboard. Evaluate your performance over time. Start running the way you deserve.